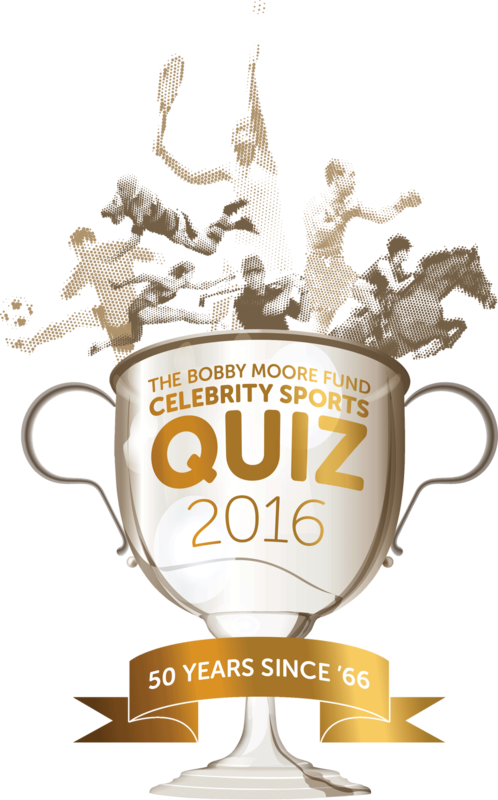 Event branding and communications for the Bobby Moore Fund’s flagship fundraising events, The Sports Quiz and Dining With The Stars. 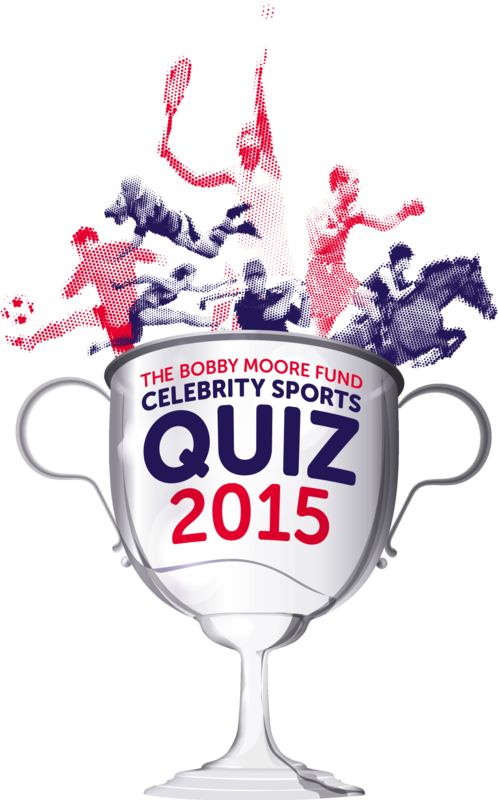 For several years we have supported the Bobby Moore Fund’s annual fundraising Sports Quiz. A highlight in everybody’s calendar, the event brings together those that want to beat cancer, and have a bit of fun while doing so. 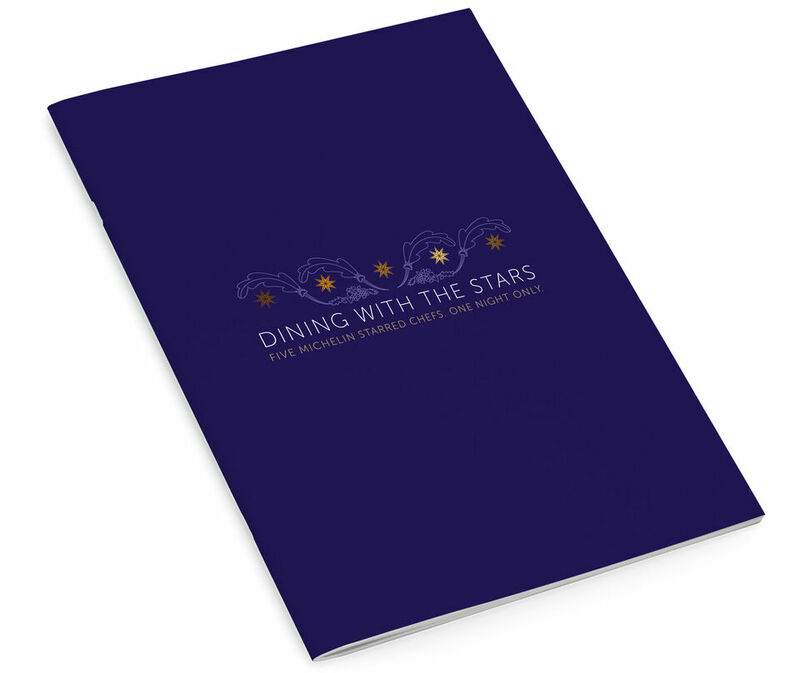 The identity and assets that we have created for the Bobby Moore Fund work across digital and print and range from invitations all the way to the collateral on the night. 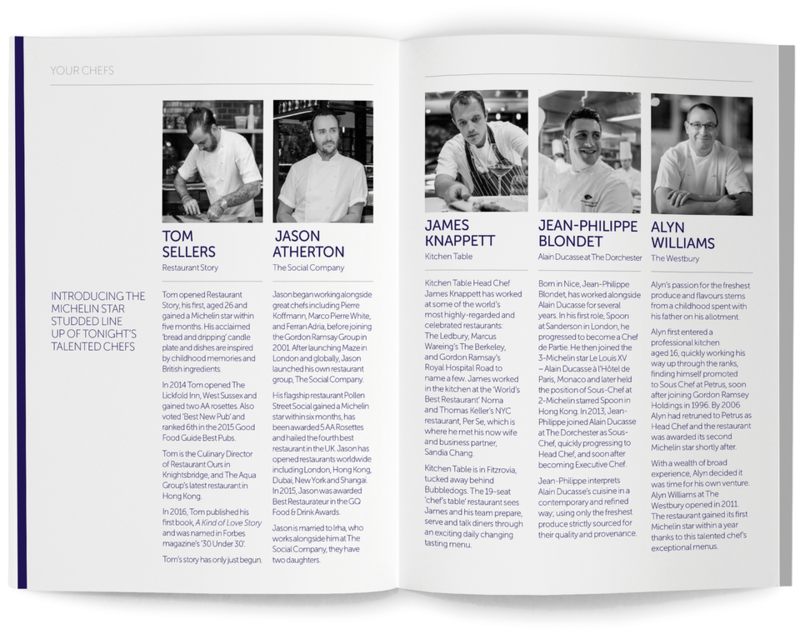 So far they have helped raise over £500,000 to tackle bowel cancer sooner. We created a bespoke trophy illustration to give the Sports Quiz an identifying symbol that sits easily within the master brand. It has been tweaked and repurposed through each year but has successfully become a recognisable and flexible asset for the event. 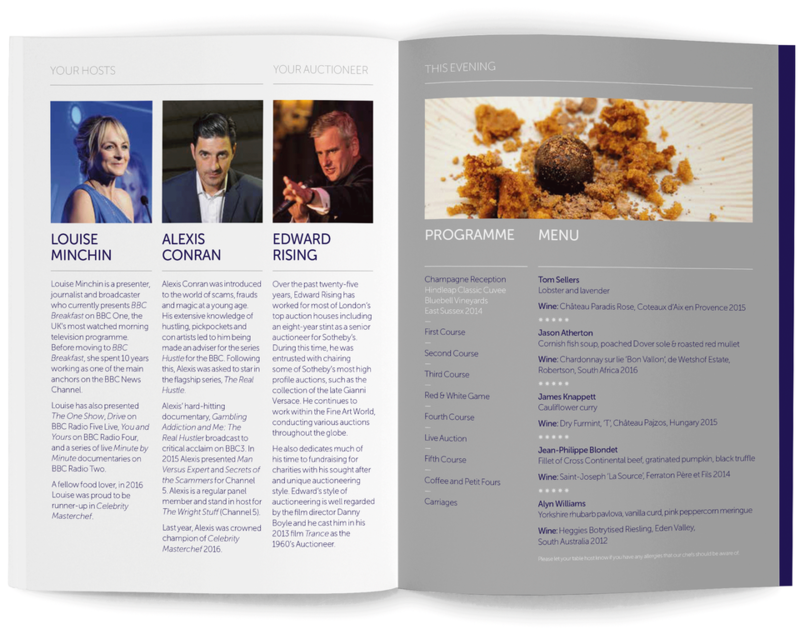 We’ve produced a suite of materials each year, ranging from invitations and tickets to programmes and presentation screens. 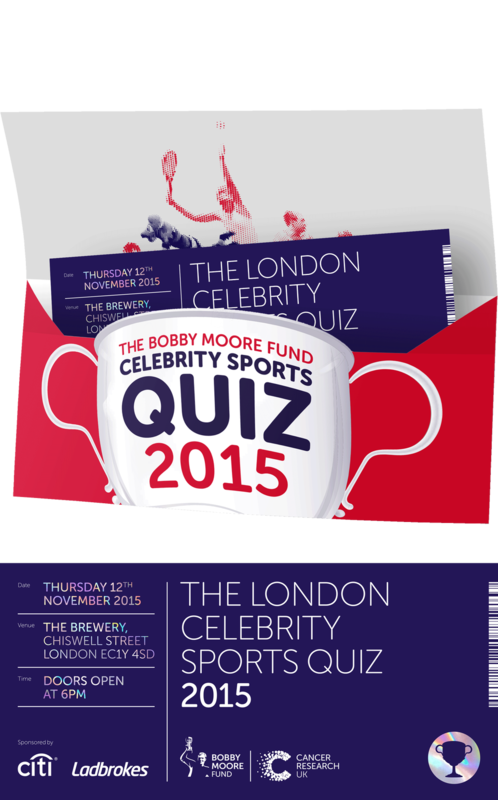 William Joseph have worked closely with us to create an engaging, dynamic identity and striking collateral for our flagship event, the Bobby Moore Fund Celebrity Sports Quiz. 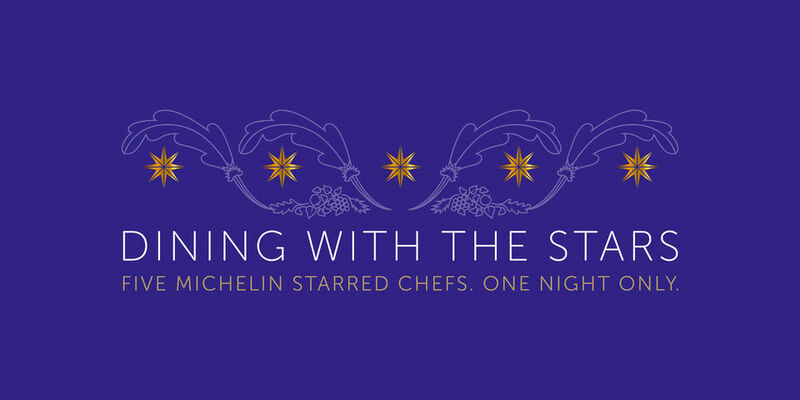 Each year we’ve based the identity for Dining With The Stars around the characteristics of the host venue, in this case the beautifully ornate ceilings at Goldsmith’s Hall. 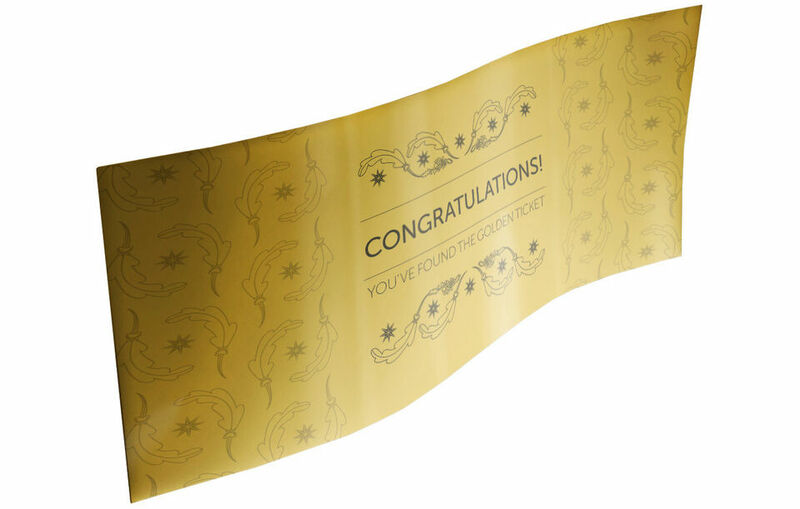 William Joseph created something imaginative that really appeals to our target demographic, and are endlessly patient with our ever-evolving brief and ever-changing deadlines.